Where Does JBJ’s Hit Streak Rank Among The Longest In Red Sox History? A recent article on Boston.com listed the longest hitting streaks in Red Sox history to put in perspective the current tear that Jackie Bradley Jr. is on. JBJ’s 24-game streak is good for 10th best in team history and is the longest since David Ortiz’s 27-game streak from the end of 2012 through the beginning of 2013. The longest hitting streak ever by a Red Sox player came from the brother of the man who owns the longest streak in the history of the sport. Dom Dimaggio hit safely in 34 straight games back in 1949. I guess hitting streaks run in the family. The second longest, and the longest in recent memory, was Nomar Garciaparra’s 30-gamer his rookie year in 1997. 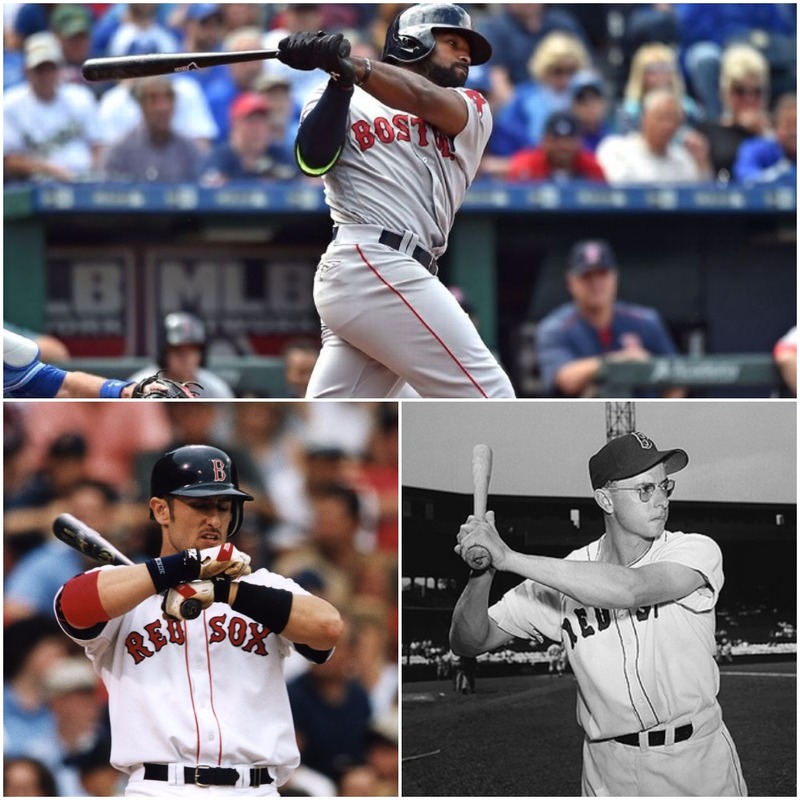 Nomar also reached 26 games in 2003 and Dimaggio reached 27 games in 1951. They’re the only two players who show up in the top 10 twice. The other names on the list are Johnny Damon with 29 games in 2005, Wade Boggs with 28 games in 1985, Manny Ramirez with 27 games in 2006, and Johnny Pesky with 26 games in 1947. The fact that Jackie Bradley Jr. is even being mentioned among these names is mind-blowing when you consider how terrible he had been at the plate in the first couple years of his career.